Portland Air Quality: How Do I Clean my Indoor Air? Portland forecasts are looking very smokey in these next few days. The National Weather Service issued an Air Quality Advisory for much of Western Oregon and Southwest Washington, which is expected to last through noon on Wednesday. Earlier this week, air quality was already listed in the "Unhealthy for Sensitive Groups" category, which means those with heart disease, the elderly and children are most affected by these unhealthy conditions. Even for those not covered in the category, stay indoors if you can! Smoke inhalation leads to a variety of health concerns, the most problematic being aggravated asthma and other lung problems. In this week's Dear Claire, we've been getting a lot of questions on the air quality and we want to help you improve it with a few easy tips for the smokey days ahead. Most homes have a forced air gas furnace in your basement and, coupled with your thermostat function "fan," it will start to circulate your indoor air through your filter, ridding yourself of the airborne smoke particles. Also important--remember to change your air filters! A clean filter will make all the difference in filtering out all of the unwanted smoke in your home. 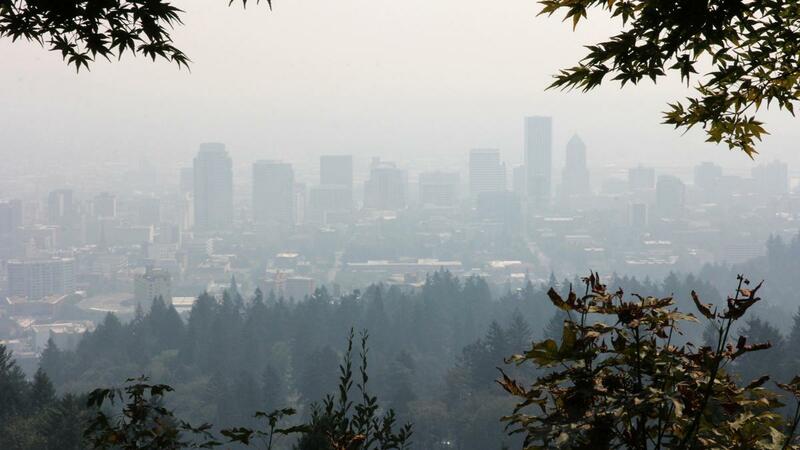 If you need more information on what the air quality is like in your city, the Oregon DEQ has a helpful map to keep you safe indoors and outdoors this week.